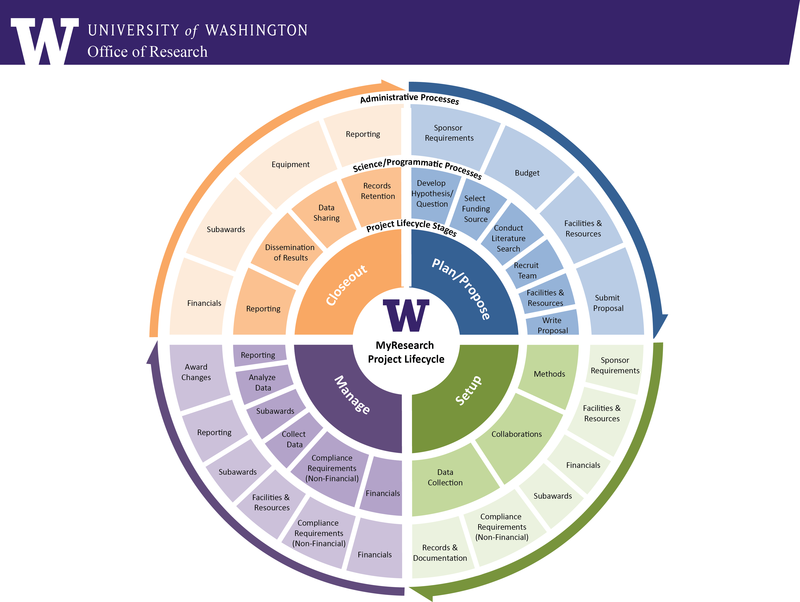 The Lifecycle represents all activities typically involved in a research project. The activities may be programmatic (scientific) or administrative in nature, or both. They begin with forming a hypothesis or research question; conclude with final financial reports and scientific publications. In most cases, a new research project begins its Lifecycle based on a hypothesis or question developed from the results of a previous project. From the development of a sponsored research project to final proposal submission. Setting up the infrastructure for successful management of your award. Managing award funds, reporting and post-award changes. Final financial and research reporting, dissemination of data and record retention.